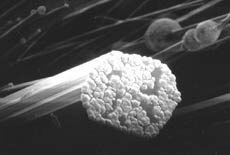 Colorless, usually straight, bundles of intergrown crystals forming circular or oval rods with flat ends. Commonly associated with Heulandite and Phillipsite. Frequently with small balls and aggregates of a unidentified mainerals growing on the sides or, espcecially, the ends. 4-2-86 No. 49 5KV APER200 x5350 by CMN THIS TABLE LOOKS BEST WHEN VIEWED USING INTERNET EXPLORER. Colorless. 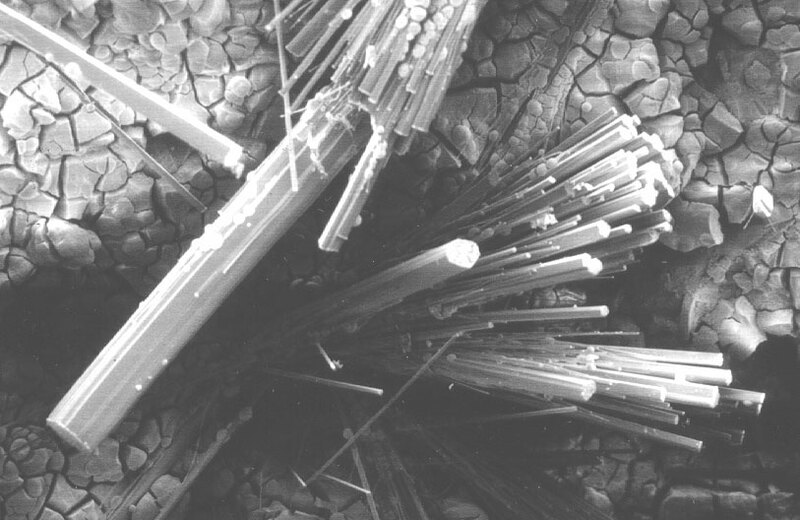 Radial clusters of rods in cavities coated with a bluish clay mineral. Details of the rods can be seen in the next two SEMs. Colorless. Detail of a single rod showing the bundling of micro-rods and the preferential seeding of unidentified globular mineral on the terminations of these micro-rods. Colorless. 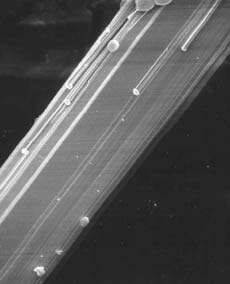 Detail of the termination of a single large rod. Colorless. 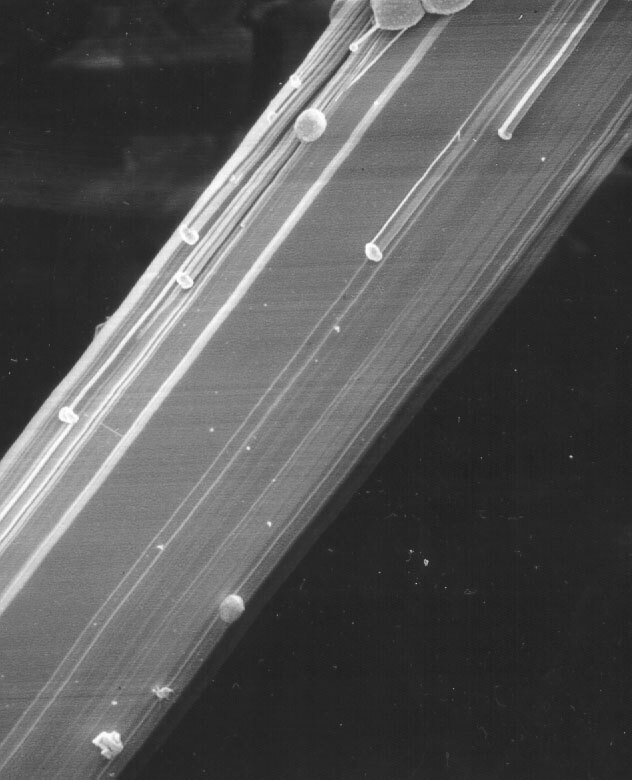 Detail of termination showing highly regular bundling of crystals giving the rod a slightly star-shaped cross section. 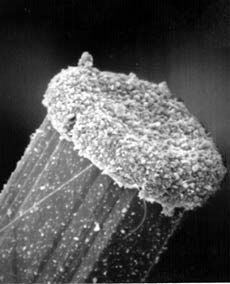 Secondary minerals occur on rods of this kind at a much lower frequency. Colorless. Slightly divergent spray of rods covered with balls and terminal coatings of unidentified minerals. 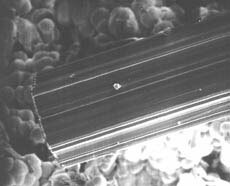 In this case, the terminal coatings that have shrunk and cracked indicating they may be a clay mineral. Distortation is due to charging.